Implementation of Governments decision on the recommendations of the 7th CPC - Abolishing Desk Allowance – Reg. 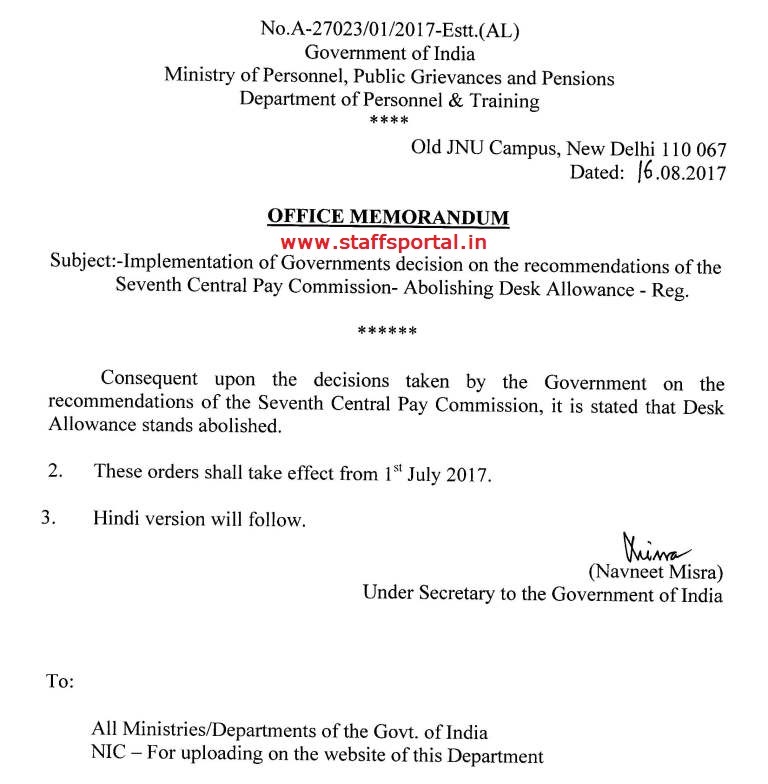 Subject:-Implementation of Governments decision on the recommendations of the Seventh Central Pay Commission- Abolishing Desk Allowance - Reg. 2. 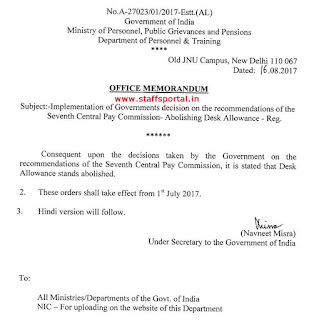 These orders shall take effect from 1st July 2017.